Autocompleted Address Widget does not work! I have used the Autocomplted Address Widget on numerous forms for a client's online ordering process. I just learned today the the widget is not working. I tried it on every form that I have built and tried to build a new test form with the same results. Lastly I tested the Demo option on the actual widget within Jotfrom. It doesn't work either. Needless to say, neither my client, nor myself are very happy... as has been costing them lost sales. 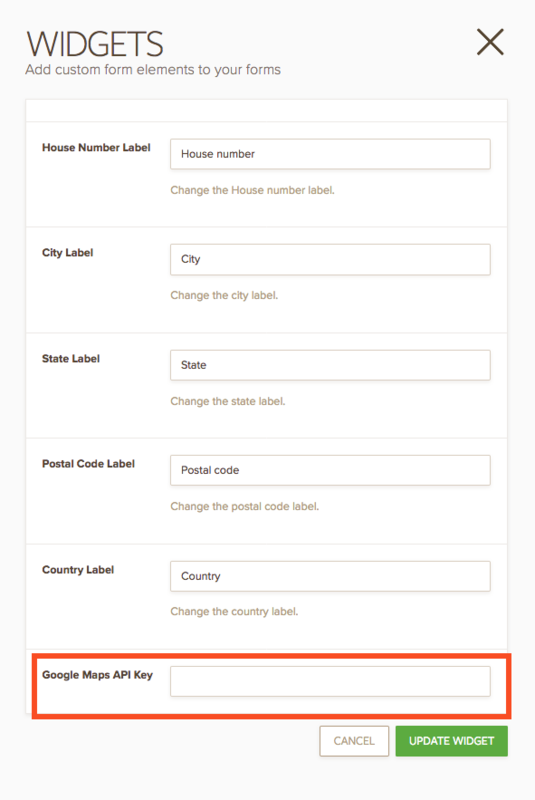 I have removed the widget from all of my forms and replaced it with a traditional Address block. Please let me know the status of this issue. We apologize for the inconvenience caused. I was able to reproduce the issue with the Autocompleted Address widget as well. The widget is quirky and will not work properly unless you refresh the browser. It sometimes work on 1st used, but will stop working if you change the text in the address input box. I have submitted this thread to the next level support so that they can check the widget. We will notify you here once we update and fixed. Hi, google started to require apikeys on their services. So in order to use the widget properly. 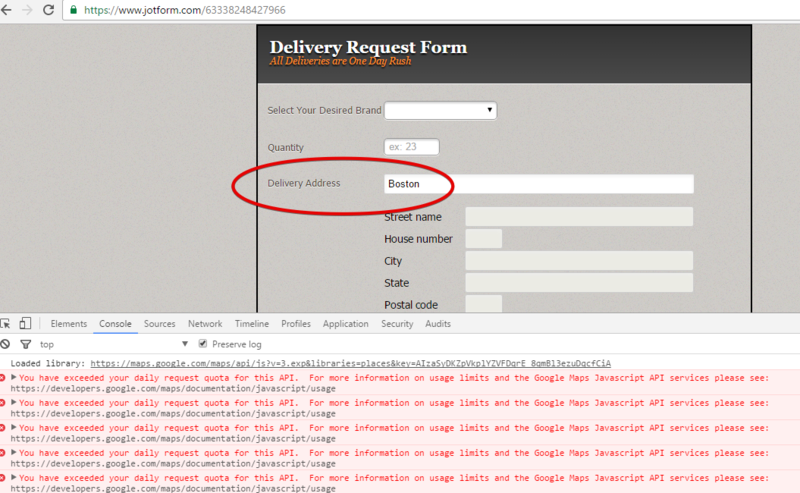 You have to enter your own Google API key. You can get it from here and put it to the new field parameter of the widget.